First off, great to meet an artist with such integrity. Can you tell us where the name Emaculant came from? The name Emaculant comes from being told by society everyday that your not perfect your not flawless. We are all perfect in everything we do, perfection is only defined by you. What album and style are you currently promoting? I’m promoting my own style since I’m my own artist. 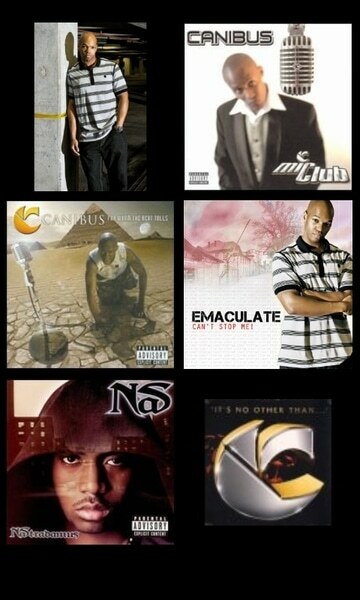 My music though can be related to the canibus, the Eminem the nas or rakims. Its very lyrical nothing that is promoted by the majors anymore. The next album I’m promoting is MIC CLUB. You’ve been featured by two record labels, can you tell us about that experience? Being featured by two record labels is great. The first one is with probably the greatest artist I’ve ever heard in my life Absoloot. ASIAM records represents artists coming as they are and not having to change for anyone. MIC-NIFICENT records I am CEO of is a direct funnel for lyrical rap artist who are shunned out by the majors because they’re music is too elliptical. You’re also quite the accomplished athlete, with Body Building, Basketball, and Boxing credits to your name, has that influenced your music? I believe playing sports on a novice and professional level help mold my music. It not only gave me discipline, but also help me perform out the gate on a very high level. Though I haven’t seen my mother in many years, when she was around, she taught me a lot in music being a opera singer and composer. She taught .e Melody’s, taught me voice pitches and showed me how to recognize certains notes and keys in a music stanza. She taught me that songs should be mini movies with a beginning middle with a climax and peak, then a end. Music again that was taught to me is ones own, so there is no right or wrong way to make your music, as long as it comes from the heart. What’s the most exciting thing that’s happened in your music career thus far? The most exciting thing that happen so far for me in music is probably joining forces with Absoloot. Hes about a cause, about making a difference and if you just listen to his latest album Banksters you will see the direction he himself is leading not following. I feel I’m taking my career my music abroad. Im going to take it global. I want every artist with real passion for their art to have a way to exhibit their music, without succumbing to the evil empire we call the majors. Where can we find out more about you and your up-coming projects? 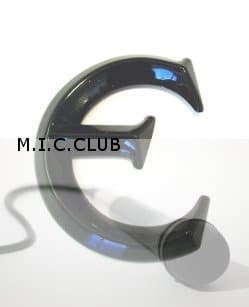 You can find out more about my upcoming projects like MIC CLUB, and my solo album E=MC Squared through my reverbnation.com/Emaculant. Through my social media twitter (emaculant29) instgaram (Emaculant)…or of course just by googling Emaculant. I want to give thanks to my brother and partner Absoloot, Jackie Robinson, bertrum gillings, jsharpe, wes nile and boon. Also give a shout out to Myrna Jenkins who will be presenting a new wave of dance stay tuned. Shout out to Marie-ange oliver a highly successful leader in our community and my personal inspiration. Making Money: What Is Distribution?